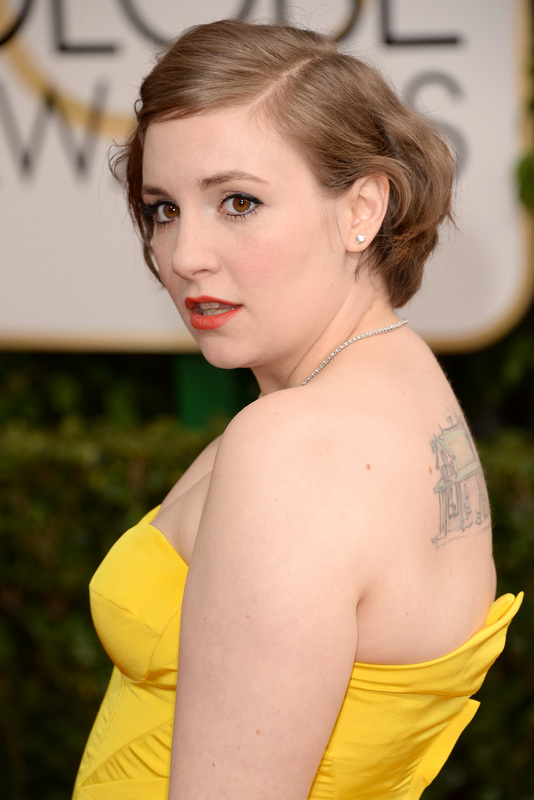 Once again, Lena Dunham is in the spotlight. Her series Girls premiered during the Golden Globes, where she was dressed like a ray of sunshine among television greats, and once again, she's all anyone can talk about. Naturally, Vogue (and anyone else who was awake during Girls' first two seasons) saw this coming and prepared a Lena Dunham cover story naming her the "New Queen of Comedy." There's just one problem: that's not quite accurate. To be fair, Girls can be a hilarious half-hour show — simply recalling the time Shoshanna (Zosia Matet) accidentally smokes crack at a warehouse party might send me over the edge in a giggle fit — but does that make Dunham the "queen?" Not necessarily. To call her the queen of comedy suggests that comedy is her overarching ambition with Girls, when I'd argue that's a reductive point of view of the series. Is Louie just a comedy? Or is it a comedy series that transcends the genre and makes you think about your life and lives of those around you? Yes, Girls is a series that is dubbed "comedy" by the Emmys or the Golden Globes, but that doesn't mean it fits neatly in that box. Like Louis C.K. 's dark FX series, Girls is sometimes just plain funny and at other times a disturbingly intimate emotional exploration. It's part sitcom, for sure, but it's also something else entirely. After the show won the Golden Globe for its first season, networks rushed to fill their slots with Girls-like sitcoms. Young people chase small-screen careers the way that they previously dreamed of movie-house immortality. Dunham’s ability to speak for a hyperconnected generation rich in entitled ambition but poor in practical know-how has carved a trenchant cultural portrait; in her shadow, TV comedy has started seeming relevant again—and very cool. That's about as close as the actual profile gets to calling Dunham the Queen, while the rest of it explains what most Dunham fans have understood about her for a long time: she's more than a hilarious gag on a TV show. She's someone who has her hands in various areas of entertainment, from her book deal that shook a nation, to her occasional writings in The New Yorker, to the production company she just started with Girls producer Jenni Konner — their first film is a documentary about Eloise illustrator Hilary Knight, according to the Vogue profile. Not only is the title, when placed on Dunham's glamorous cover girl head, a bit reductive to her talents and her projects, it blatantly hop scotches over the heads of other potential and current "queens of comedy." For those women, like Tina Fey and Amy Poehler, who just spent Sunday night delightfully schooling all of Hollywood to riotous applause, comedy is their goal, their career. Fey and Poehler are resolutely comediennes — and most definitely the co-queens of the genre — while Dunham is incredible funny and influential in the sitcom realm (it would stand to reason that she wouldn't be too pleased if anyone thanked her for helping Two Broke Girls become a show), she's not resolutely a comedienne. She's a talented and shockingly fearless writer with varied interests and projects. Sometimes she skews funny and others, she veers in a completely different direction. She can't be the "queen" of comedy, because with multitudes of due respect, she's not devoted enough to that art specifically, the way Fey, Poehler, and Elle cover girl Mindy Kaling are. Giving Dunham that title is not only a means of overly simplifying her varied talents and ambitions, it also writes off the multitudes of funny ladies who devote themselves wholly to the art of comedy. Dunham is funny and important. Absolutely. But "queen of comedy" she is not.